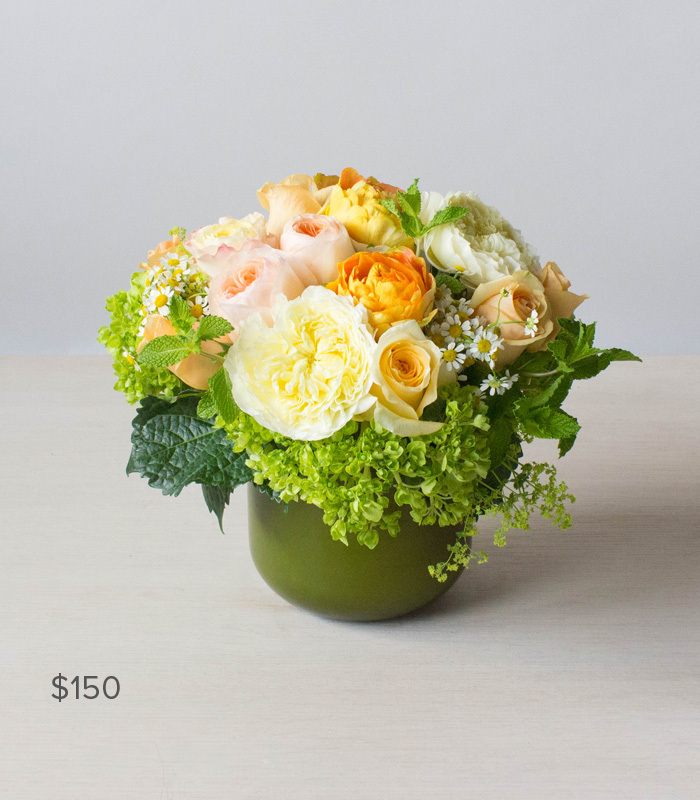 Extend the allure of any holiday, anniversary or birthday gift with our Forget-Me-Not subscription. 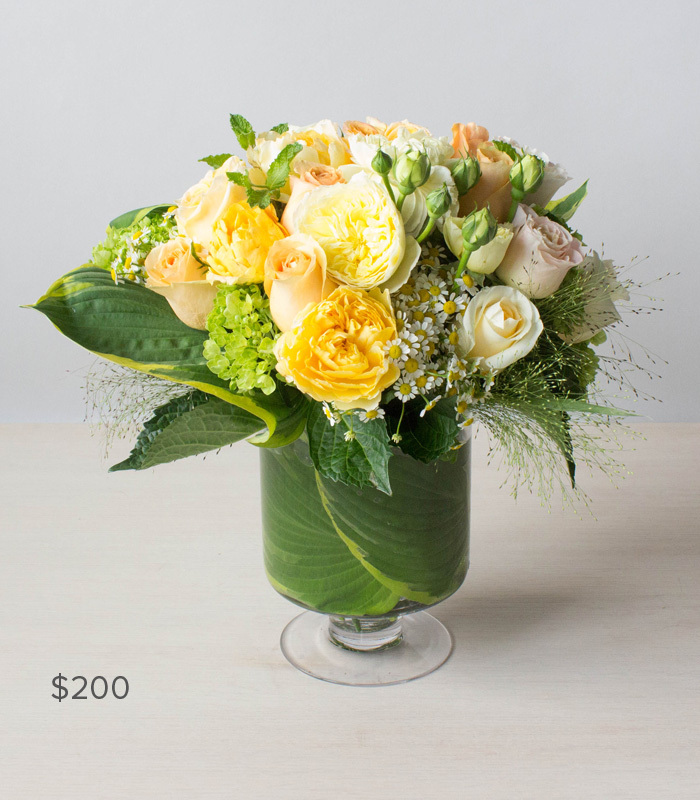 Each month, the top talent at Red Square Flowers design spectacular pieces using the season’s choicest flowers and freshest color palettes. Simply place one order and your recipient will receive exquisite and original designs for either three, six or twelve consecutive months. You may select a subscription at $90, $150 or $200 per month (plus tax) – and delivery is included! We will contact you to select when your gift should arrive. 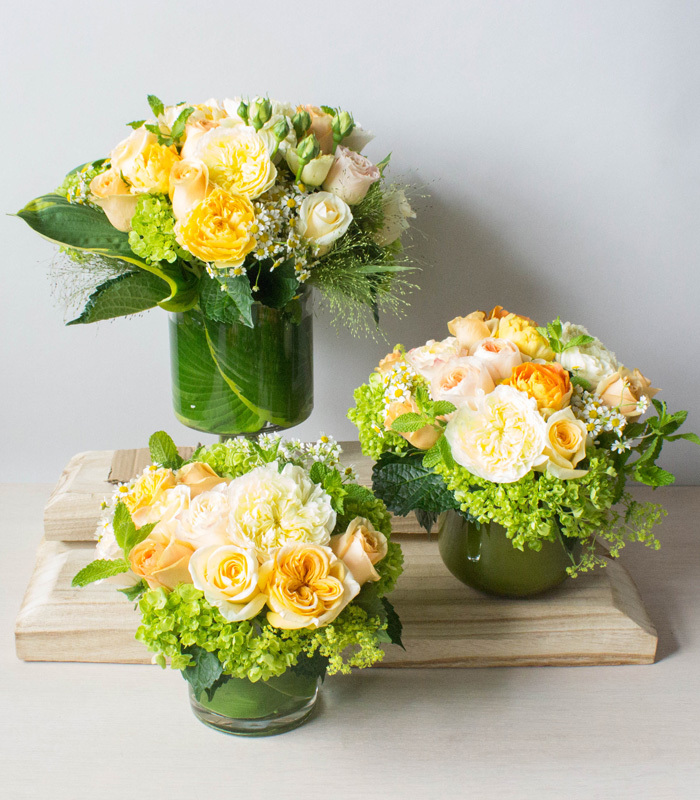 June is the month of the rose – celebrate with the unique charm of garden roses. 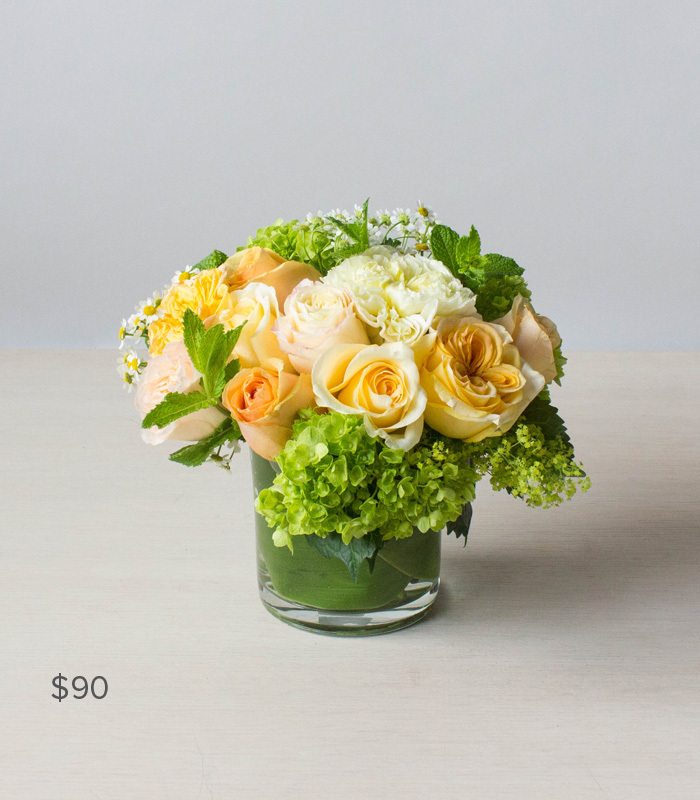 In our modern style, groupings of fragrant cream and tangerine garden roses are anchored by mojito hydrangea and summer greens.